David had been with several clubs in his native Spain and was with Airdrieonians, Livingston and Celtic. He was loaned back to Livingston and released by Celtic in August 2005. David then signed for United, Although a regular in the side, he was released at the end of the season and joined Kilmarnock. David was born on this date in A Coruña, Spain. New signing David Fernandez remained on the bench as Gordon Chisholm kept faith with the same eleven which had secured a deserved draw in Finland. It was a frantic opening to the game and both sides could have been on the score sheet but, unfortunately for United, the visitors struck twice in the opening thirteen minutes making the task massive. 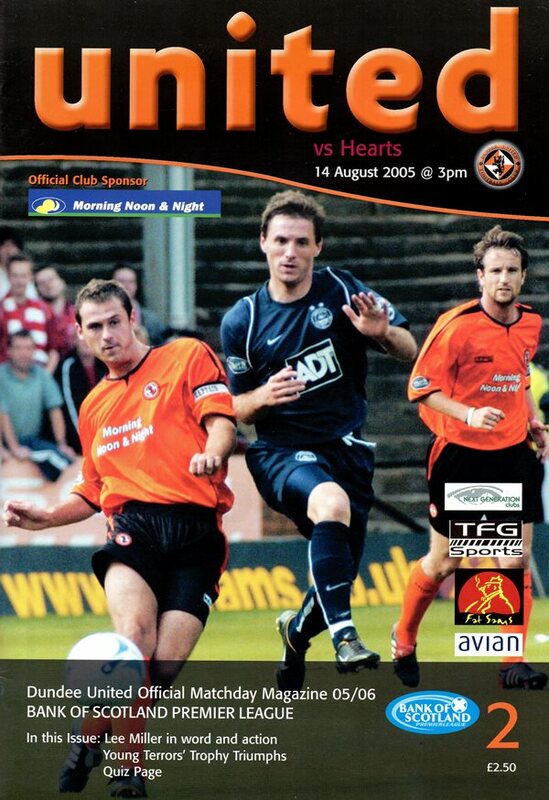 First Steven Pressley headed home unchallenged from a Rudi Scacel free kick and then Roman Bednar drilled a left foot shot into the net as United failed to clear a corner. Despite being caught cold, United pressed forward in the hope of getting back into the game and both Mark Kerr and Jim McIntyre will feel disappointed they didn’t score. First Kerr found time and space in the box as the defence failed to clear but his shot was deflected wide for a corner. McIntyre then had United’s best chance of the half when he met Mark Wilson’s cross from close range, but his header crept agonisingly wide of the right hand post. The exciting news for Arabs making their way to the ground was the place in the first eleven for David Fernandez, playing just behind the front two of Miller and Crawford as Jim McIntyre dropped on to the bench. Stuart Duff again started the game in the back three with McCracken and Archibald on either side. 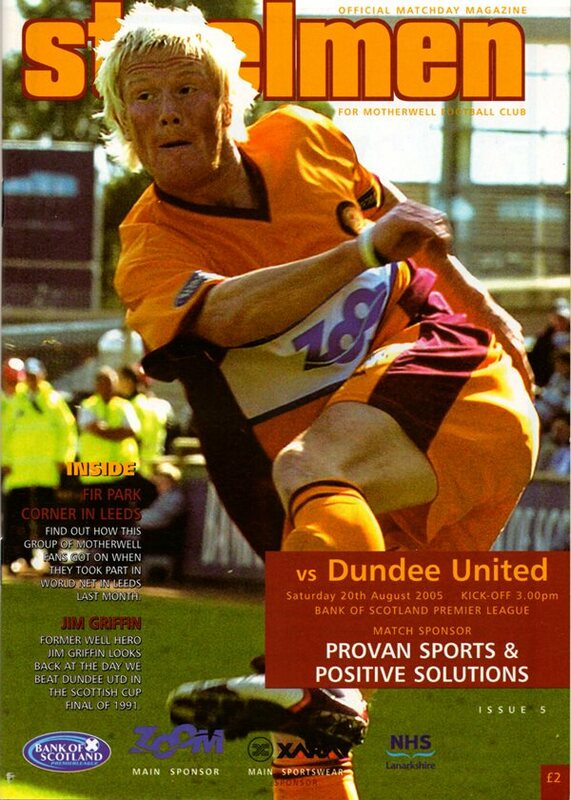 Motherwell’s lengthy injury list included first and second choice goalkeepers Marshall and Smith, so Colin Meldrum started in goal – just a month after having conceded three against United in the City of Discovery Cup. Following his transfer from Tannadice under a fortnight ago, Gordon Strachan handed Mark Wilson his Celtic debut against his former side. The only other change to the Celtic side which beat Motherwell last weekend was the reintroduction of Ross Wallace at left back in place of Mo Camara, who dropped to the bench. Following a quicker than expected recovery from his hamstring injury, Roy Keane also took up a place among the substitutes. With his own injury adding to the unavailability of the injured Paul Ritchie and the on-loan Charlie Mulgrew, Craig Brewster had to reshuffle his starting eleven for his second game in charge. From the side which picked up a point against Aberdeen last weekend, in came Barry Robson to replace Mulgrew at left back, and Collin Samuel for Lee Miller, who dropped to the bench.